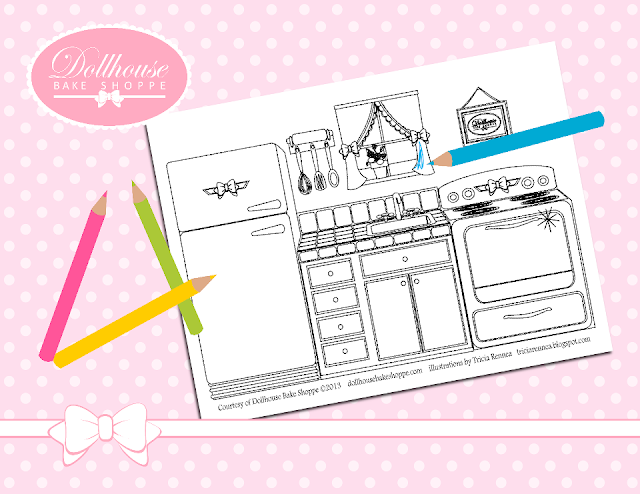 Bring Dollhouse Bake Shoppe into your home with these FREE coloring pages created by the talented Tricia-Rennea, Illustrator! I am so thrilled to share these with you! If you have not checked out Tricia-Rennea's work yet, you must visit her site for adorable paper dolls, paper toys, stationary and illustrations! She is the talent behind the complete "Lindsay Ann Paper Doll Set" and has transformed it into a fun coloring activity page as a special FREE gift to you! 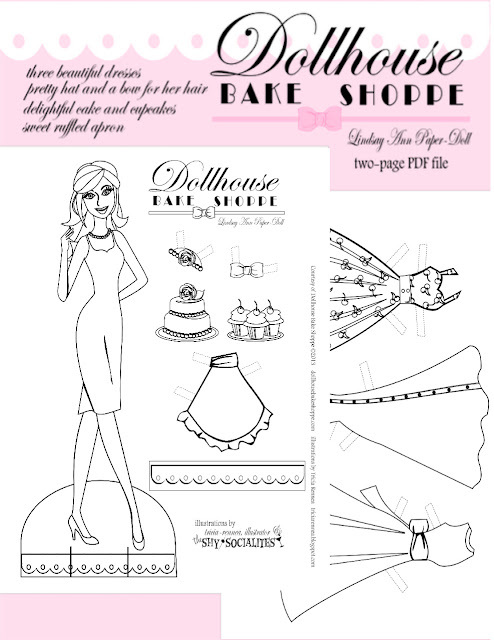 Made exclusively for Dollhouse Bake Shoppe, Lindsay Ann "The Bake Shoppe Doll" is a printable paper doll coloring set that comes with adorable mix-and-match outfits, accessories, and of course cupcakes, so your little girl can color, play, dress her up and "bake" sweet treats to serve. She even comes with her own Dollhouse Bake Shoppe kitchen to color! 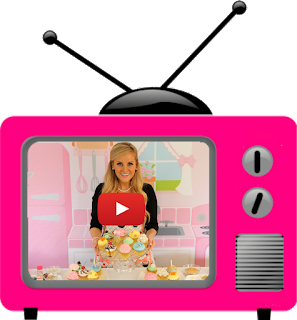 Want your own Dollhouse Bake Shoppe kitchen for your doll to play in?! Simply print, color, cut and play! Sending a huge thank you to Tricia-Rennea for designing the adorable custom paper doll and kitchen set. She has created some of the most darling and inspired work I have ever seen! Be sure to check out more of Tricia-Rennea's custom fashionable illustrations, stationary, logos, paper dolls, free printables, and more on her blog. You can also find her on Facebook and Twitter for up to date freebies you can print at home and all new designs available for purchase from her online shop!